An ode to the city that never sleeps; the center of the universe; the metropolis. We are excited to introduce a range of creme-finished lacquers to our core lineup through a monthly release series called The Metropolis Collection. Every month starting the first week of September, a new color will be released highlighting the great city of New York. Our new creme hues feature a smooth, high-gloss formula making application a breeze. Combined with our Holdfast™ Base Coat and Liquid Laminate™ Top Coat, you can trust our products will keep your mani shiny and long-lasting. 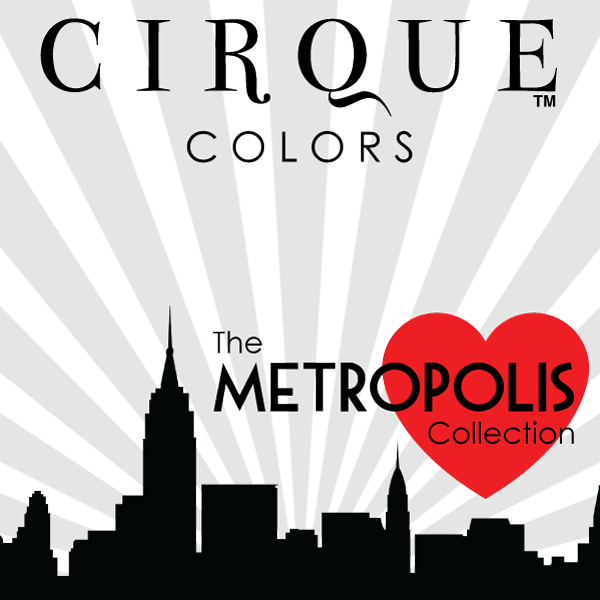 The first color of The Metropolis Collection will be announced on September 2, 2014 and will retail for $13. To stay up-to-date with the latest news, such as new releases, events and sales, subscribe to our emails HERE. What do you think? Sounds exciting, right? I can't wait to see the first color!